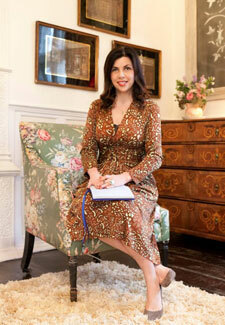 Kirstie Allsopp is a huge fan of all things crafty and now she’s turned her hand to a new passion. Kirstie, along with Judy Finnigan, Tamzin Outhwaite and Ainsley Harriott, is supporting Home-Start UK’s Kisses for Kids campaign by donating her kiss to a pendant. ‘I admire greatly the work that Home-Start carries out in supporting families across the UK,’ says Kirstie. ‘Their volunteers do a fantastic job in supporting families with a diverse range of needs, everything from post natal illness and multiple births, through to domestic abuse and poverty. ‘Home-Start stops many families from reaching crisis point, and I am proud to be an ambassador of their work.